Is tea the flavour of Fall? Not being British but living in the UK for many years, it has taken me a while to understand the nation’s obsession with tea. It is offered in sympathy, as a welcome, to cover awkward pauses and there is yet to be a situation that the Brits feel they cannot improve with a cuppa. However there has been some serious shift in the perception of the humble cup of tea. In London, the lowly cup of tea is seeing an elevation, putting it on an equal standing to very fine wine. Top bartenders are using it as a mixer and distillers are infusing their finest spirits with leaves of the highest calibre. Some of London’s top-notch restaurants are pairing their dishes with tea as you would wine which left me wondering - why the sudden fascination with tea? Speaking to those behind the trend shed some light on the evolution. While you may be familiar with the Earl Grey Martini, some distilleries are taking it a step further by infusing the flavour into the spirit. Introducing the bold flavours of black tea, or letting the fragrance of green tea bolster a botanical gin, can introduce much to the depth and palate of the drink. This means we can lay the Long Island Iced Tea to one side and concentrate on those who are crafting gorgeous cocktails with quality ingredients, like NOVELTEA. The company is new but has been crafting essential tea flavours with a variety of spirits with their two flavours. The Tale of Earl Grey and The Tale of Tangier. 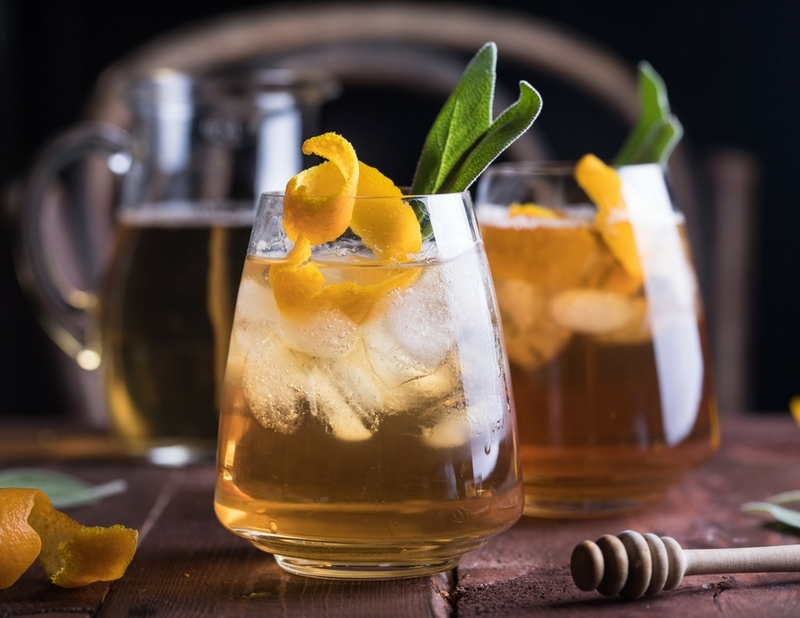 If you want to incorporate the tea trend into your bar but are struggling to stock the spirits, you can always spend time crafting a couple of signature cocktails that incorporate tea as a mixer. Owl’s Brew is a company that is a trendsetter and has capitalised on the popularity of tea. Based in the USA, Owl’s Brew has created tea blends that are designed as cocktail mixers, offering suggestions on alcohol pairings to bring out the flavour and the ratio to achieve the perfect drink. White and Vine is a staple mix of white tea, watermelon, lemon peel and pomegranate that is recommended as a pairing with gin, tequila, vodka and white wine. The innovative pair that created the company has not stopped at cocktails. Expanding their range, they recently created The Radler, combining two of the most popular drinks in the world – tea and beer. “Our restaurant is in a London business area and as such is popular with businessmen. As times change, it is no longer acceptable to be drinking through lunch or meetings. The idea was to provide them with wine replacement. Tea may not be a new creation but it is definitely being seen in a new light. Treating tea with the respect it deserves has brought it into the niche as an alcohol alternative that can be drunk through a business lunch as well as at your Nan’s house. 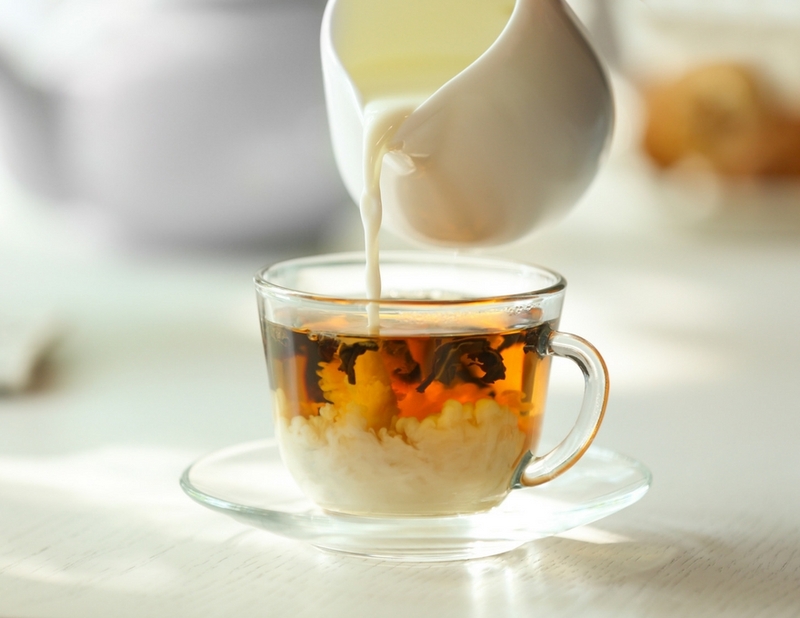 The British obsession with tea may have waned in recent years in favour of coffee, but through tea pairings and as a mixer, it is coming back in a big way.